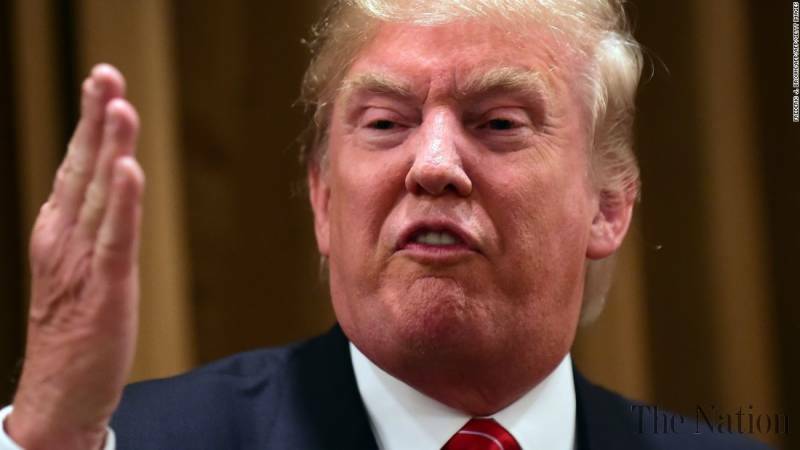 Donald J. Trump is going to pay a visit in Mexico City to President Enrique Pena Nieto. Let’s just say up front that the Republican presidential nominee’s visit isn’t being hailed universally as a sign that Trump is going to rebuild the many bridges he has burned. The only way it “works” is for Trump to say he’s sorry for all those incredibly crass things he has said about Mexicans — and about the Mexican government. Ah, the record is full of highly regrettable statements. This one might be my favorite: It was when he said Mexico “is sending” rapists, murderers, drug dealers and assorted other criminals in the United States. The implication, of course, is that the Mexican government is doing this. How, then, might President Pena Nieto broach that subject with Trump? 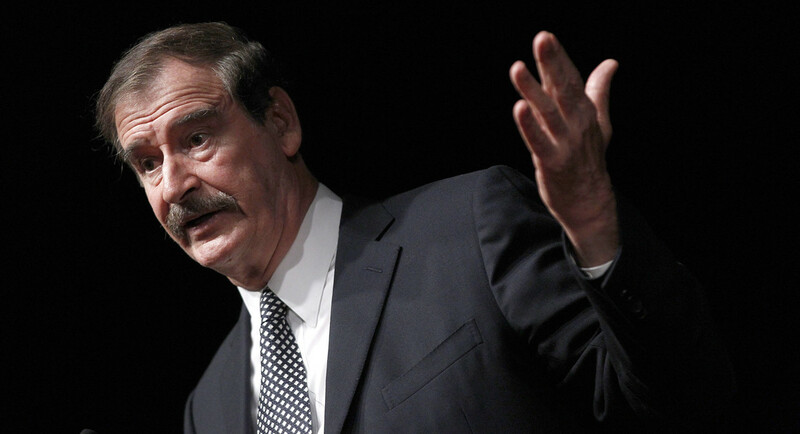 How about, too, the idea that Trump is going to “make Mexico pay for the wall”? That has gone over, um, quite badly in Mexico. And this seems to beg the question: Was the invitation by the head of the very government that Trump has insulted a trap, a set-up made to embarrass the GOP nominee? Have a good day, Donald Trump. Build a wall along a river? How do you do that? My friend Rick has asked a perfectly reasonable question regarding the wall that Republican presidential nominee Donald Trump wants to build along our nation’s southern border. How’s he going to do that, Rick asks, along the Rio Grande River, which comprises the entire border between Texas and Mexico? * Does he build the wall on the Texas side of the river, denying Texans access to the river? * Does the wall go up in the middle of the river? * Finally, does Trump propose to build the wall on the Mexican side of the river, in territory governed by another sovereign nation? Trump is going to Mexico City on Wednesday to meet with Mexico’s president. He’s got some serious fence-mending ahead of him. If he’s willing to apologize for all the insults he has hurled at Mexican citizens — and remember, he says he never apologizes — then he’s got to figure out a way to explain to his hosts how he intends to make Mexico pay for the wall. I believe I’ve heard the Mexicans say there’s no way on God’s Earth that they’re going to foot the bill for the wall. I am anxiously awaiting the first joint appearance in four weeks between Democratic presidential nominee Hillary Rodham Clinton and her Republican opponent, Donald J. Trump. I won’t call it a “debate,” because it isn’t going to be one. They’ll answer questions from a moderator and likely will be unable to question each other. I keep hearing and reading things about the way Trump is preparing for this event. He’s relying on ousted Fox News president Roger Ailes, his son Donald Jr., his daughter Ivanka and his new campaign chairman Steve Bannon. There’s also buzz about how Trump isn’t going to have mock exchanges with stand-ins. We all saw how he dismantled his GOP primary opponents. He mugged at them, called them names — e.g., Lyin’ Ted and Little Marco. He faces someone in Clinton, though, who is as unflappable as they come. She’s been through these one-on-one exchanges before, in 2008 against a young U.S. senator named Barack Obama and again this year against U.S. Sen. Bernie Sanders. Her own preparation likely is going to be as comprehensive as possible. Just how does one prepare for a candidate whose style has been compared to that of a nuclear bomb, or a runaway freight train? She must expected to the totally unexpected. There will be two more of these joint appearances with Clinton and Trump, as well as one with the VP picks, U.S. Sen. Tim Kaine and Gov. Mike Pence. This first one, though, well might be the whole show, the ballgame, the big enchilada. * How will they greet each other when they walk onto the stage? Will they exchange warm handshakes, with them grabbing the person’s elbow with the “off hand”? Or will they greet each other with what amounts to a “pinkie handshake” while avoiding eye contact? * How will it end? Will they still smile at the end of it? 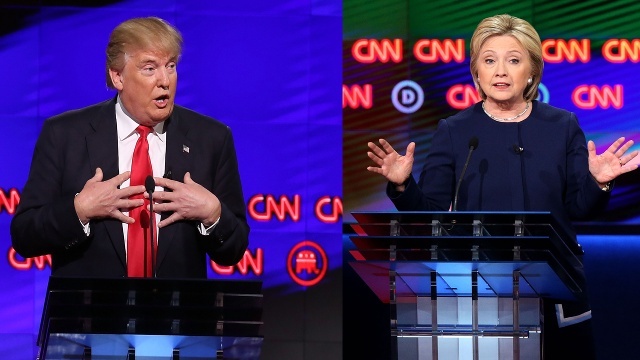 Or will Trump’s insults, invective and innuendo be too much for Clinton to take? Or will Trump snub his opponent after she continues to bombard him over his “unfitness to be commander in chief”? They say the TV audience will be y-u-u-u-g-e. I believe it. I’ll be one of many millions seeking to take some measure of these individuals. I’ll have the popcorn ready. Say it again, Trump: ISIS is ‘winning’ … seriously? 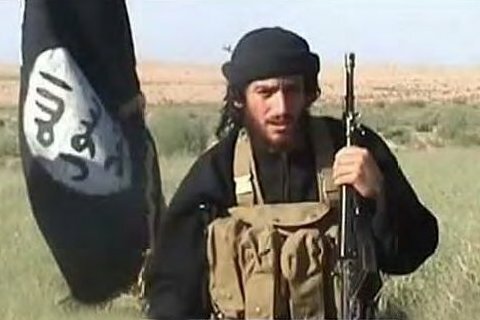 Abu Muhammad al-Adnani is dead — reportedly. Who is this guy, Adnani? Oh, he’s the No. 2 man in the Islamic State hierarchy. He’s one of the founders of ISIS. He’s believed to be the mastermind behind the recent terrorist attack in Paris. Adnani apparently bought it in Aleppo, Syria, according to ISIS’s media arm. This is a big deal, man. A real big deal, in fact. It’s not clear yet how Adnani was killed. Was it an air strike by a manned jet fighter with an American or allied pilot at the stick? Was it by a drone strike? Does this mean the end of the Islamic State? No. However, it suggests — presuming Adnani’s death can be confirmed — that ISIS is in serious trouble. Why mention this today? Well, we keep hearing from Donald J. Trump, the Republican presidential nominee, that ISIS is “winning,” that U.S. forces can’t defeat this Islamic terrorist organization because the commander in chief, Barack Obama, refuses to link the terror organization to the religion it purports to represent. Osama bin Laden is dead; drone strikes have taken out al-Qaeda and ISIS leaders throughout the Middle East; our special operations forces — Navy SEALs, Army Delta Force commandos and CIA operatives — are on the hunt constantly for the terrorist monsters. We’re killing bad guys almost daily. When we take out leaders of the Islamic State brain trust — such as Abu Muhammad al-Adnani — that’s a really big deal. The fight will go on. Can we declare victory yet? Of course not. It is my sense, though, that we’re a lot closer to that moment than we were on 9/11. Clinton Foundation needs to end certain practices … now! Hillary Rodham Clinton has been accused — although not formally — during her during her entire public life of just about every possible crime imaginable. They are bogus, phony and meant only to smear her and her husband. They come from those who hate them both. A situation exists, though, that needs the Democratic presidential nominee’s immediate attention. The New York Times editorial board has come up with a reasonable solution, not that it will stop the critics from piling on. It involves the Bill, Hillary & Chelsea Clinton Foundation, which Bill Clinton founded in 2001 to help raise money for his presidential library in Little Rock, Ark. It has become, of course, much larger than that. Hillary Clinton’s presidential campaign has forced her to make some pledges, such as refusing to take money from foreign governments. She did so, with some exceptions. The Times has suggested that the foundation cease at this moment taking money from any foreign government, period, for as long as Hillary Clinton is a candidate for president and certainly while she serves as president if she is elected in November. I do not believe Hillary Clinton has broken any laws. Nor do I believe she fits the epithets being hurled at her, particularly by her Republican campaign foe, Donald J. Trump. However, this foundation has created many more problems for her than she might have imagined. The Times also suggests that if she’s elected, her husband and daughter need to remove themselves completely from any day-to-day operations at the foundation, leaving all administrative matters to others. 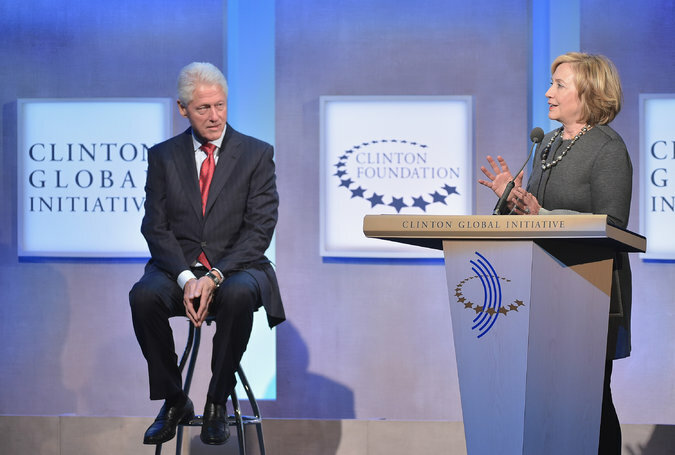 The Clintons’ foundation has done tremendous work around the world and it ought to continue. It can continue raising money and spending it on valuable medical research without the Clintons’ involvement. Would any of this quell the critics? No. It would, though, send the message that the candidate has heard the concerns — and the criticism — and it willing to provide transparency and accountability to those who are demanding them both. Donald J. Trump has a big speech planned this week. 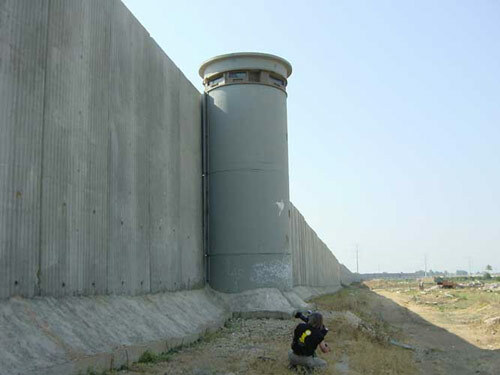 The Republican presidential nominee is going to lay out his latest plan for dealing with illegal immigration. I can hardly wait to hear what it is. Well, actually … I can wait. The Trump immigration plan has been all over creation since the candidate rode down the escalator this past summer at Trump Tower to announce his presidential campaign. Neither do I … except that this clown has no clue about what kind of policy he wants to initiate as president of the United States. The greatest unknown in all of this is its cost. How much is all this going to cost the U.S. Treasury, which Trump and other critics of the Obama administration say is stretched beyond its limit. We’ve rolled up all that debt, Trump says. So, do we acquire even more debt, borrow even more money — or do we slash, if not eliminate, other essential government programs to pay for this plan? Which programs do we toss aside? And precisely how is he going to “get Mexico to pay for the wall”? We haven’t heard a single detail in any of this. I have lived in Texas for 32-plus years. For most of that time, Rick Perry has been in the public eye: as a then-Democratic state legislator from Haskell County, as Texas agriculture commissioner, as state lieutenant governor, as governor and as a two-time Republican candidate for president of the United States. I’ve never rooted for him to win anything. Our paths have crossed a few times over the years. I first met him in Beaumont, when he ran for agriculture commissioner. I would talk to him again after he was elected lieutenant governor and then governor. The late state Sen. Teel Bivins once introduced Perry to my wife and me while we were attending a Chamber of Commerce event in downtown Amarillo. I’ve never particularly cared for the man’s politics, nor his personal demeanor for that matter. He’s going to cut a rug, so to speak, on the ABC-TV network show. I have no earthly clue as to why I actually am pulling for him to win. It might be that he’ll be a huge underdog. I don’t know who else is in the mix, but I’m sure there’ll be a healthy complement of athletes whose athletic skill requires them to be nimble on their feet. I remember when Tom DeLay, the Republican U.S. House majority leader, kicked up his heels on the show. He was a great sport when he lost out early in the competition. Will the same fate await his good friend and fellow GOPer Rick Perry? The world awaits … with bated breath. First, though, I have to remember to watch the show! That, right there, is going to be a challenge. I’m beginning to harbor a bit of hope that the Texas Panhandle might get a chance after all to see Donald J. Trump before this election campaign comes to a conclusion. How do I know that? I don’t. I just feel it. For years I’ve lamented how we get snubbed by the major-party candidates for president. Trump, the Republican nominee, is showing that he doesn’t take sure-fire regions for granted. He’s come to Texas a couple of times already. He’s likely to win the state’s 38 electoral votes, which makes many of us wonder: What the heck is he doing here? What’s more, Trump is showing up in states he has no prayer of winning. An example: He’s going this week to Everett, Wash., a city near Seattle. He’ll lose Washington state huge to Hillary Clinton. Sure, he’s spending a bit of time in those battleground states. But then he veers off into places where — by any conventional measure — he has no business visiting. Which makes me wonder if he’s going to follow the GOP modus operandi, which is to take us Red State residents for granted. Would I go to a Trump rally? I believe I would. It’s not that I have any particular interest in hearing what the candidate has to say. I’ve heard enough already. No, my interest would be in looking at those who cheer his screaming mantra. I no doubt would know many of those folks personally. Many of them are friends — at the very least friendly acquaintances — of mine. I’m telling you, this bizarre and totally unconventional campaign is no longer able to surprise me. 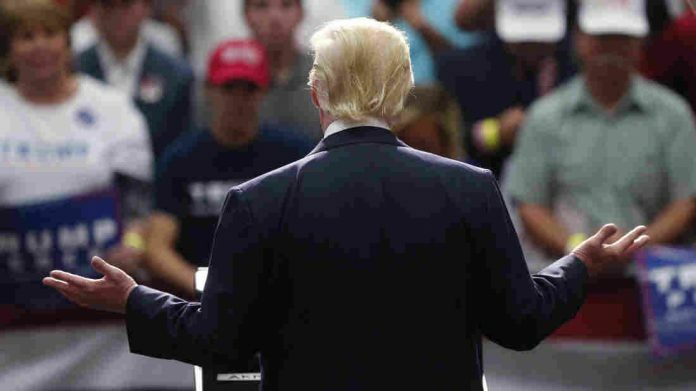 Donald Trump ought to stop in Amarillo on his way to a rally at Berkeley, Calif., or perhaps on his way back east to another rally in, say, Biloxi, Miss. The term usually describes occasionally hard-to-define public infrastructure needs. Although communities do not require parks, or recreational venues to function, residents become used to having them available and being able to use them whenever they wish. Amarillo voters are going to decide this November whether to spend nearly $22.3 million to improve parks and recreation infrastructure throughout the city. Is this one worth supporting? I believe it is. The city is putting seven propositions on the ballot. This is the second in a series of commentaries I’d like to offer on the propositions. The largest single expenditure will occur with construction of a recreation center in the North Heights neighborhood. The city has identified that center as a major need in a neighborhood where residents occasionally have expressed the belief that City Hall doesn’t care as much about them as it does about residents in other parts of the city. Parks matter for a city’s quality of life. Amarillo has a population now of about 200,000 residents. We have enjoyed steady, moderate growth for decades. New residents are still coming to Amarillo to take jobs, to build lives for themselves and their families and to enjoy the amenities the city has to offer. We don’t cry out for good parks and recreational opportunities the way we do, say, for police officers to respond quickly or for firefighters to arrive immediately to protect us. If we’re going to let parks go to seed, or not support the community centers that become the lifeblood of neighborhoods, then ponder this: What would Amarillo be like without any of them? We might not always be able to define issues that give us a good “quality of life,” but most of us know when those things aren’t available for us to enjoy. A high-profile political marriage now appears to have ended, thanks — allegedly — to some continued scurrilous behavior by a former Democratic New York congressman. Anthony “Carlos Danger” Weiner apparently has been sending lewd text messages again to women other than his wife, Huma Abedin, a top aide to Democratic presidential nominee Hillary Rodham Clinton. Abedin today announced she is leaving her husband. The marriage seems to have ended. We’ve been down this road to nowhere before. Danger admitted to “sexting” in an earlier round of messages. Abedin decided to hold on to her marriage. She fought hard to stay married to this nimrod, who used the moniker “Carlos Danger” while he was sending pictures of his manhood to women. So, what’s been the reaction of Republican presidential nominee Donald J. Trump? He said the end of this marriage proves that Clinton lacks proper judgment to become president. Huh? Yeah. That’s it. The end of a marriage become grist for political trash-talk. I am not yet clear as to what Abedin’s marriage to an apparent dirt bag has to do with her work with the former secretary of state and current candidate for president. Danger, er, Weiner needs to vanish. Abedin needs to collect herself and resume her work. Abedin is a highly accomplished individual who I believe deserves a bit of space as she seeks to rebuild her personal life. I do not believe, though, that Donald Trump is going to give it to her.